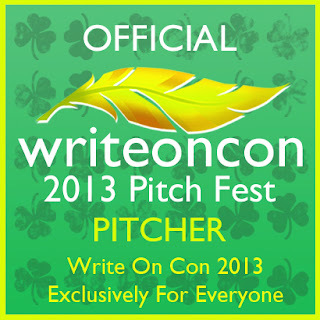 Support aspiring writers by visiting the pitch fest- it's fun and a great way to get a sense of what's being written these days. I entered my very own SUGAR- a young adult contemporary about a girl who fights fat and wins. Check it out...and while you're at it, visit Elana's blog, it is chock full of writerly support, info, and she'll have you laughing or at least smiling.